The engineers from Behringer/Midas brought along their new little drum machine project they are called the RD-808. Looks familiar, I wonder if they’ll make any trainers? 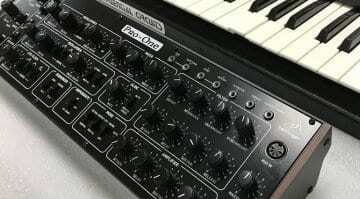 Behringer has talked about the possibility of a drum machine for a long time but this is the first time we’ve seen it become any kind of reality. It looks pretty perfect. And it’s big, not the same format as the Eurorack friendly Model D and Neutron, this is a good and chunky piece of kit. 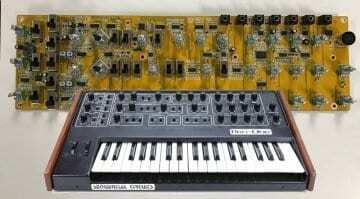 It will, of course, have all the drum sounds and features that people expect from a TR-808 clone. But there may be a few extras squeezed in. Like an integrated Wave Designer, compressor, a dual-mode filter with dedicated controls on the front panel, comprehensive MIDI and USB implementation and solo/mute on each track. And there’s still more features being worked on. 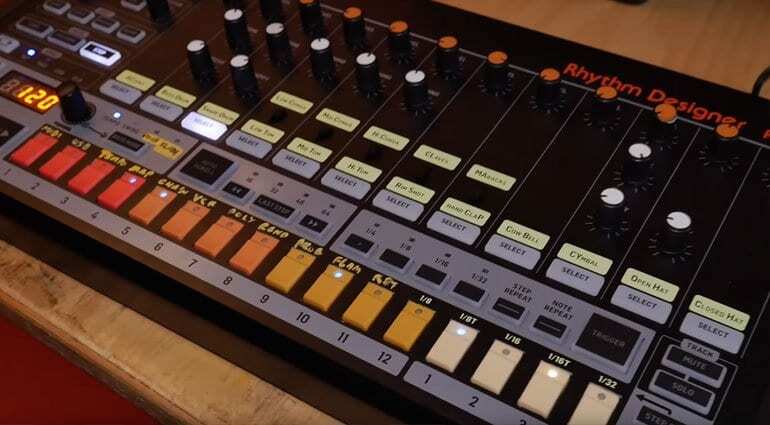 It’s the drum machine everyone has been waiting for and they say they might be shipping by August. The pricing is yet to be announced but will probably be the right side of temptation. Keep your eye on Behringer’s various social media. 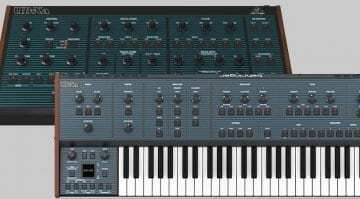 Is Behringer making a Sequential Circuits Pro One clone?